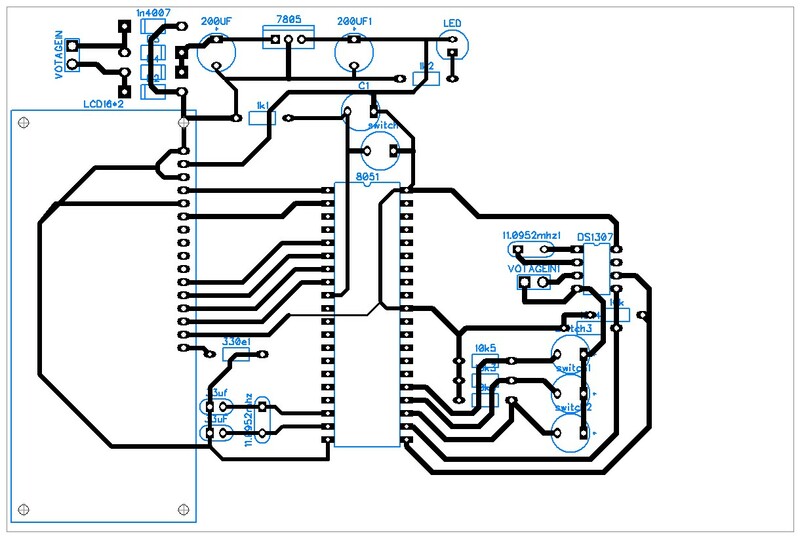 In this project, we are going to demonstrate making a RTC Clock using 8051 microcontroller. If you would like to do this project with Arduino, check this digital clock using Arduino. The major component of this project is DS1307 which is a real time digital clock IC. Lets know about this IC in detail. The DS1307 serial real-time clock (RTC) is a low-power, full binary-coded decimal (BCD) clock/calendar plus 56 bytes of NV SRAM. This chip works on I²C protocol. The clock/calendar provides seconds, minutes, hours, day, date, month, and year information. The end of the month date is automatically adjusted for months with fewer than 31 days, including corrections for leap year. 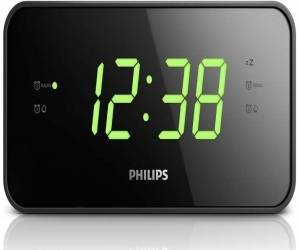 The clock operates in either the 24-hour or 12-hour format with AM/PM indicator. The DS1307 has a built-in power-sense circuit that detects power failures and automatically switches to the backup supply. Timekeeping operation continues while the part operates from the backup supply. DS1307 chip can continuously run till 10 year. 8051 based Real time clock is a digital clock to display real time using a RTC DS1307, which works on I2C protocol. Real time clock means it runs even after power failure. When power is reconnected, it displays the real time irrespective to the time and duration it was in off state. In this project we have used a 16x2 LCD module to display the time in - (hour, minute, seconds, date, month and year) format. Real time clocks are commonly used in our computers, houses, offices and electronics device for keeping them updated with real time. 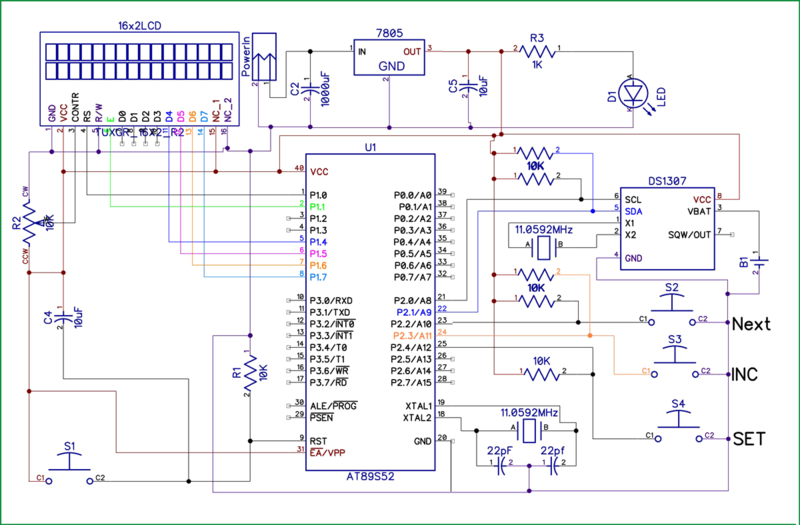 I2C protocol is a method to connect two or more devices using two wires to a single system, and so this protocol is also called as two wire protocol. It can be used to communicate 127 devices to a single device or processor. Most of I2C devices run on 100Khz frequency. Sends START condition to slave. Sends slave address to slave. 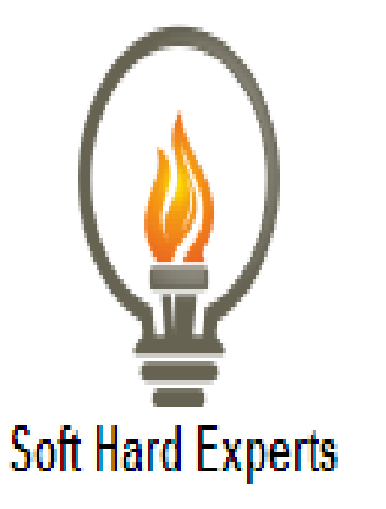 Send write bit (0) to slave. Sends words address to slave. Received ACK bit from slave. And last sends STOP condition to slave. Send read bit (1) to slave. Sends STOP condition to slave.